Colorado Counties, Inc. (CCI) held a district meeting in Montrose last Friday. Commissioners heard presentations on proposed 2018 legislation and participated in a roundtable discussion with former State Senator Ellen Roberts and Chris Trees of the Colorado River District on strategies for increasing the influence of the Western Slope at the state capitol. Mesa County Commissioner John Justman takes notes at CCI's district meeting in Montrose County. Mesa County Commissioner Scott McInnis and Rio Blanco County Commissioner Shawn Bolton catch up at the commissioners' district meeting put on by CCI. CCI Policy Director Eric Bergman, left, Commissioner John Justman and CCI Legislative & Policy Advocate Allison Daley discuss upcoming legislation affecting western Colorado counties. Mesa County Commissioner John Justman talks to other western Colorado commissioners about issues and policy coming down the pike for 2018. Mesa County Sheriff Matt Lewis and Mesa County District Attorney Dan Rubinstein request that the Board of County Commissioners approve Resolution MCM-2017-1 and refer the Mesa County Public Safety Sales Tax Ballot Question to the registered electors of Mesa County pursuant to C.R.S. §1-41-103, and C.R.S. §30-11-107.9. Mesa County Sheriff Matt Lewis and Mesa County District Attorney Dan Rubinstein listen as Resolution MCM-2017-1 is read into the record. The resolution approves and authorizes a ballot question for the election to be held on the first Tuesday of November 2017, for the purpose of imposing a countywide public safety improvements sales tax to address critical and immediate needs of the Mesa County Sheriff’s Office, the 21st Judicial District Attorney’s Office, and other public safety organizations located in Mesa County. If passed the Sheriff’s Office will receive 67.29 percent of the new revenues, the District Attorney’s Office 16.83 percent, and the remainder will be divided among the14 other agencies. Many Grand Valley leaders attend the Commissioners' public hearing to testify in support of the sales-tax increase. Mesa County voters will decide in November whether or not to raise sales taxes by 0.37 cents on a $100 purchase to help the sheriff’s and district attorney’s offices, and 14 other emergency services agencies' budgets. Mesa County Sheriff Matt Lewis and Mesa County District Attorney Dan Rubinstein listen as the Mesa County Commissioners deliberate their votes to refer Ballot Measure 1A to the Nov. 7 election. 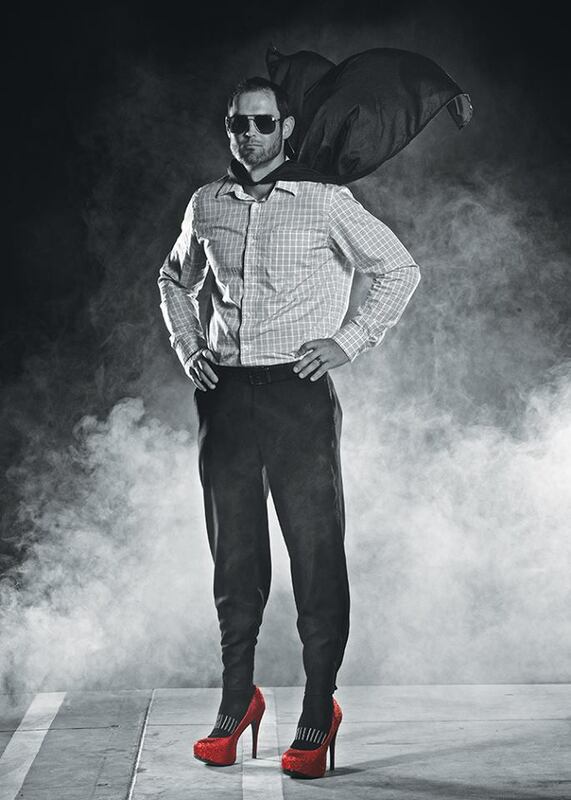 Mesa County Workforce Center Director Curtis Englehart will race in high heels to raise money and awareness for Hilltop's Latimer House and Domestic Violence Services. Rio Blanco County Commissioner Shawn Bolton, left, Mesa County Commissioner Rose Pugliese and Garfield County Commissioner Mike Samson on Wednesday met with Takeshi Soda, an official from the Japanese Ministry of Economy, Trade and Industry (METI) to discuss the importance of U.S. LNG exports to Asia, in particular the development of the Jordan Cove project. On Wednesday, several elected officials and representatives from northwest Colorado counties attended the Associated Governments of Northwest Colorado (AGNC) Board of Directors and Member meeting to discuss upcoming state and federal legislation. Mesa County Commissioner John Justman, center-left, and Rose Pugliese at the Associated Governments of Northwest Colorado (AGNC) Board of Directors and Member meeting. 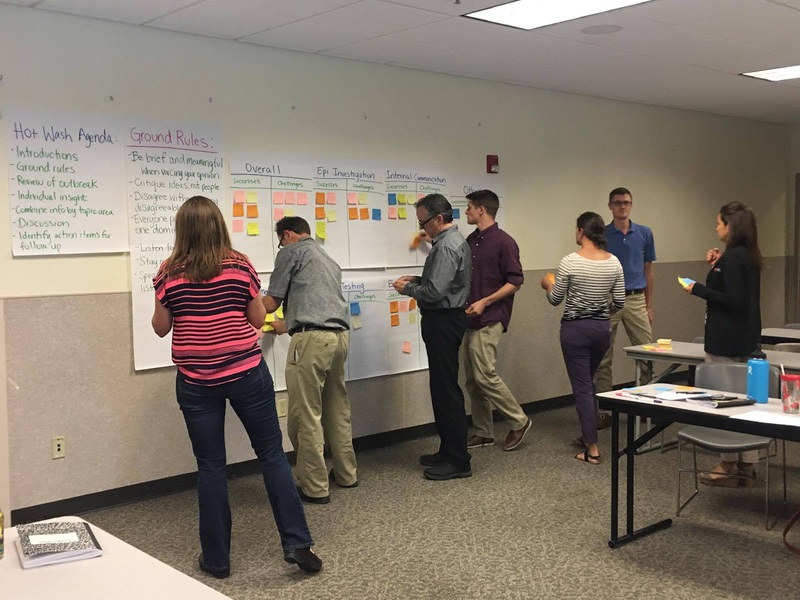 AGNC is a council of governments representing cities and counties in northwest Colorado including the counties of Mesa, Garfield, Rio Blanco, Moffat and Routt. Colorado House of Representatives District Dan Thurlow from the 55th gives AGNC members an update on his priorities for the 2018 legislative session. His district encompasses the Mesa County communities of Clifton, Fruitvale, Grand Junction, Orchard Mesa, and Redlands. Colorado House of Representatives District Yeulin Willett from the 54th gives northwest Colorado elected officials and representatives a legislative update. His district encompasses Mesa and Delta Counties. Colorado Senator Ray Scott from the 7th District, center, gives northwest Colorado officials a legislative update. His district encompasses Mesa County. Beginning Tuesday, Sept. 5, the remaining road improvements for Buckskin Hill Road (58 ½ Road) will get underway. Read more here. Mesa County Public Health staff members came together to review the E. coli outbreak that happened earlier this month. The team discussed what went well and what they could improve on regarding their response process. 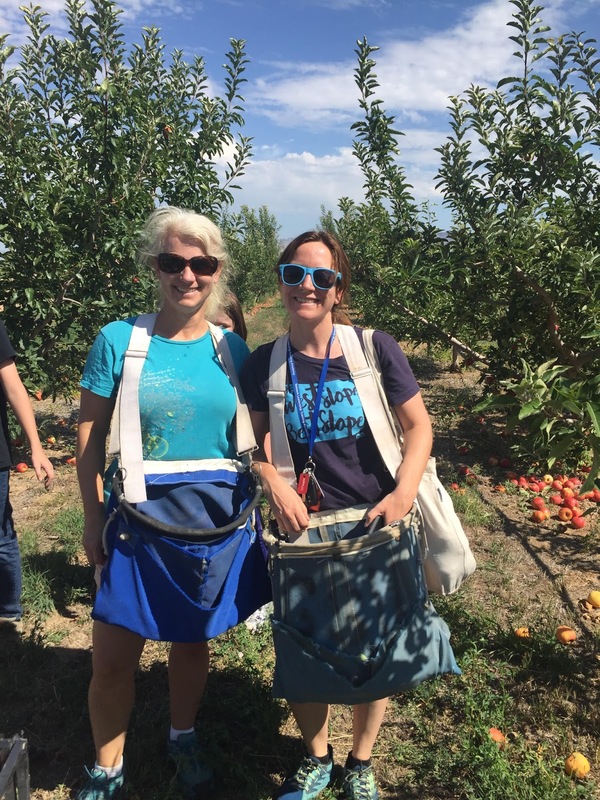 Mesa County Public Health Regional Health Connector Sarah Johnson and Health Promotions Specialist Kelsey Fife pick apples and peaches for the Community Alliance for Education and Hunger Relief program, based out of the CSU Western Colorado Research Center in Orchard Mesa. Learn more about Community Alliance at http://communityalliance.extension.colostate.edu/volunteering/. 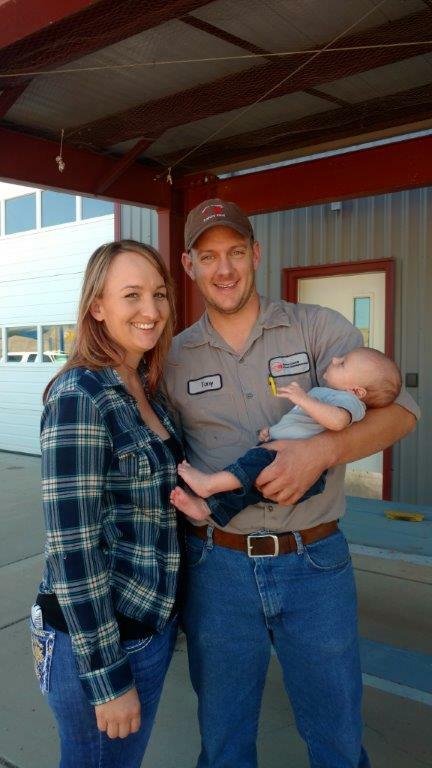 Mesa County Fleet Technician Tony Fuoco and his wife, Amanda, welcomed their newest member of the family, Weston, on June 7, 2017. Amanda and two-month-old Weston stopped by the shop to say hello. Weston's older brother, Trenton, (not pictured here) unfortunately, could not make it because he was at school. Congratulations, Tony and Amanda on your bundle of joy! 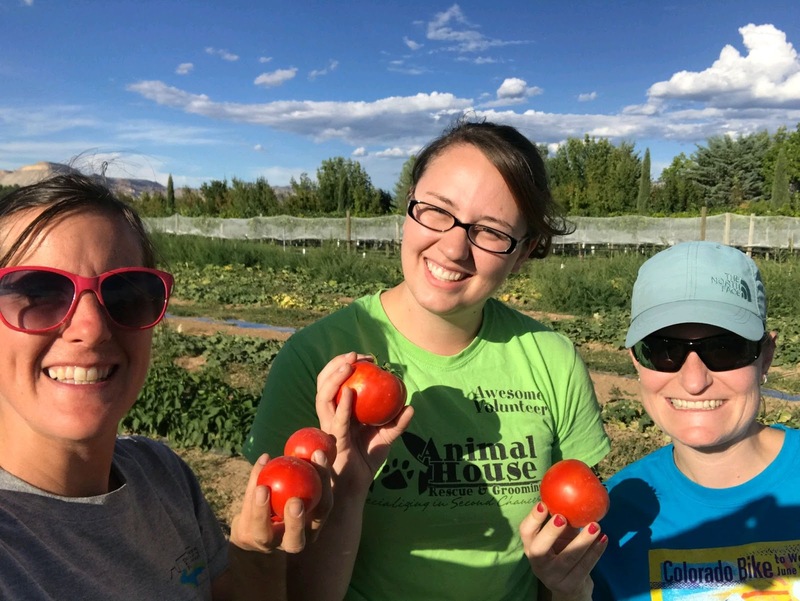 From left: Teresa Nees with Mesa County Noxious Weed & Pest Management and Public Health Environmental Health Specialists Sarah Schultz and Melissa Salter volunteer to harvest tomatoes and peppers for the Food Bank of the Rockies and other local agencies that serve our community at the CSU Western Colorado Research Station. Teresa Nees with Mesa County Noxious Weed & Pest Management, right, and Public Health Environmental Health Specialist Sarah Schultz pick tomatoes. 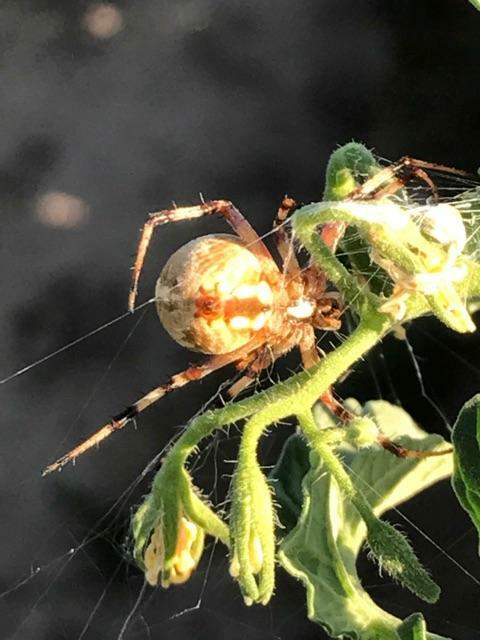 That is not a tomato or a pepper, it's a spider! 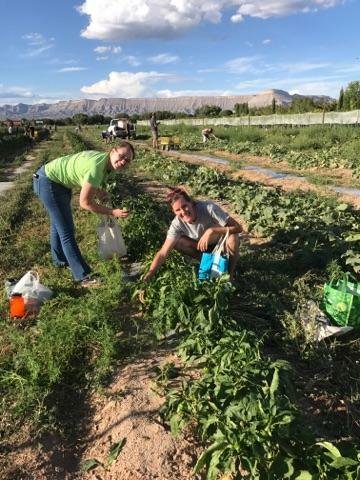 Sometimes when you are in the garden picking vegetables you make new friends. 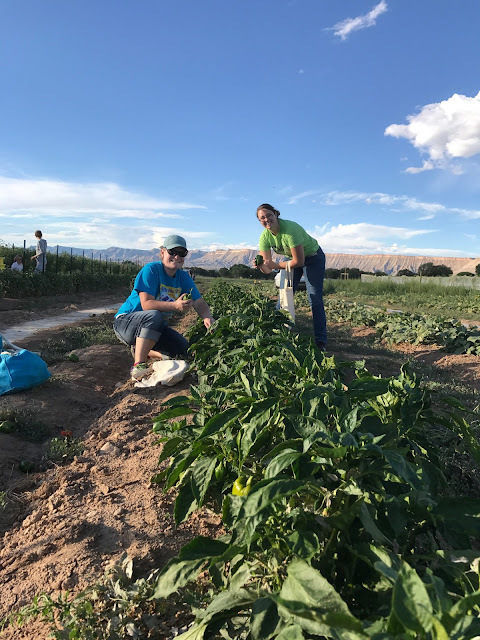 Mesa County Public Health Environmental Health Specialists Melissa Salte and Sarah Schultz volunteer at the CSU Western Colorado Research Station to harvest tomatoes and peppers for the Food Bank of the Rockies, School District 51 and other local agencies that serve our community. 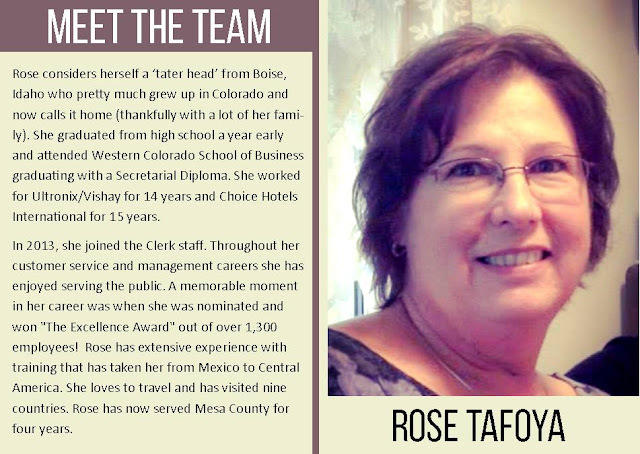 Meet Mesa County Clerk and Recorder's Office Land Records Technician Rose Tafoya. 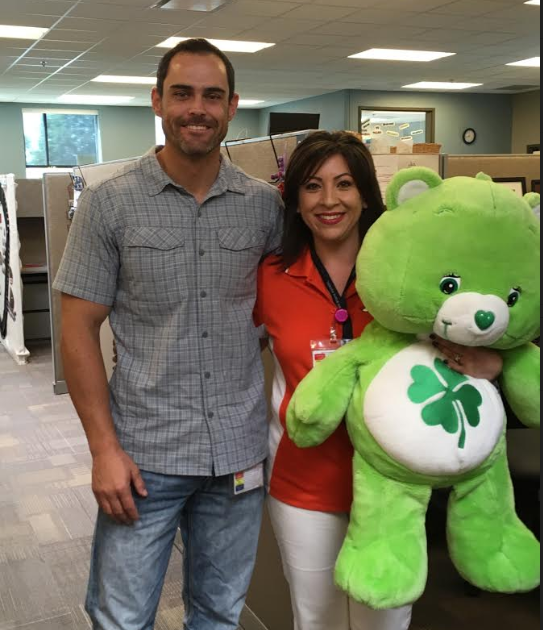 Workforce Center Director Curtis Englehart presents Eligibility Specialist Jennifer Garcia with a "You Brighten My Day" award. She was nominated by a co-worker for jumping in to help out when her team was shorthanded. 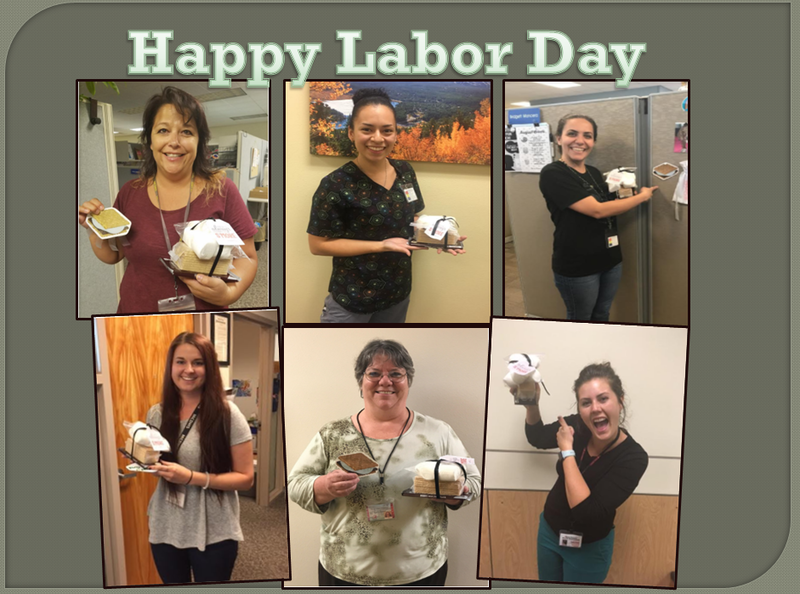 From top row left: Marci B., Citlaly L., Lillian M., Courtney T., Pam L., and Katie S. were "S'MORE" lucky winners when the CSB Fun Bunch played a pre-Labor Day Game of hide-and-seek!